JULIE DASHER RUGS features Tibetan wool rugs manufactured in Nepal. The wool used is from Himalayan sheep and is considered to be the best in the world due to its texture, strength, luster and stain-resistant properties. Our rugs last for generations. Wool is a naturally renewable resource which is harvested every other year from the Himalayan sheep. At the end of its life cycle, wool biodegrades into nutrients which improve soil fertility. Natural properties of wool in a rug can even improve indoor air quality. Highly skilled weavers hand card the wool into strands and spin it to prepare it for custom coloring. The dyes are 100% eco-friendly Swiss Ceiba. 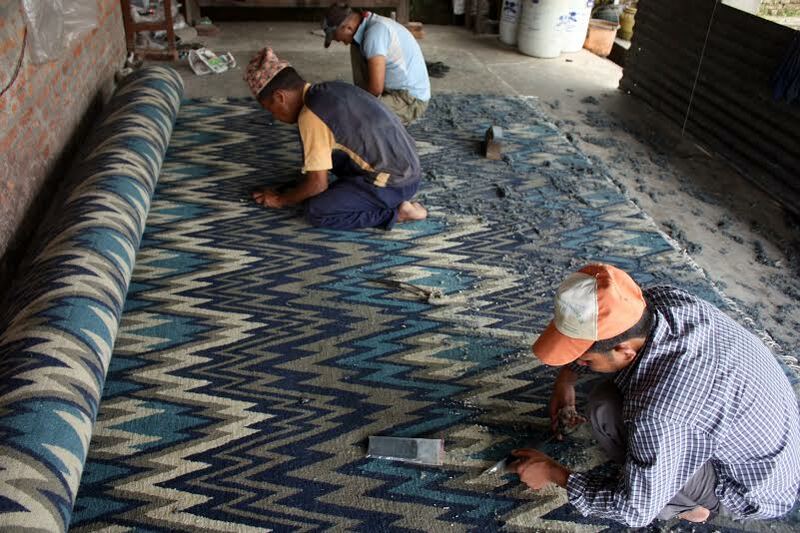 JULIE DASHER RUGS is a GOODWEAVE-licensed importer and thus we donate a percentage of our profits to help the GOODWEAVE Foundation in their efforts to prevent child labor in the rug-making industry. The donation also helps the children of Nepal and India through education and other social services.